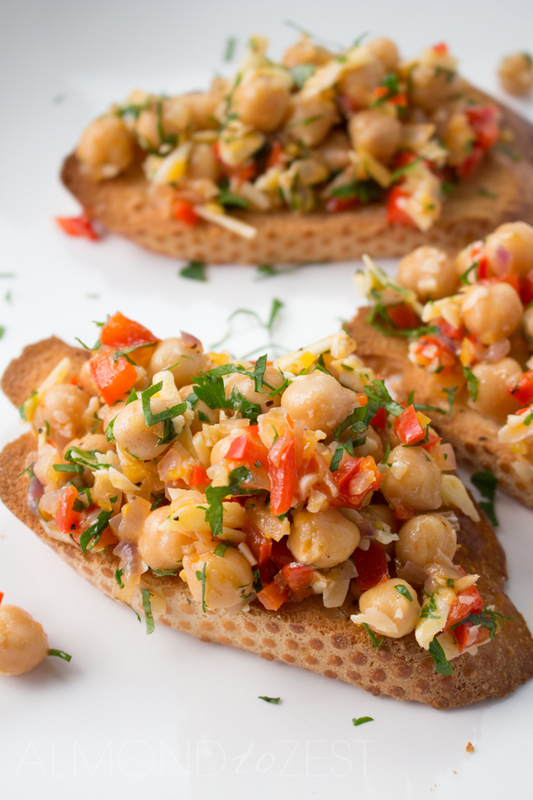 Light, fresh, quick and easy, these chick pea crostini’s will make a great appetiser option for any type of gathering through out the Christmas season. It kinda feels weird posting Christmas recipes, I mean we have only just entered the month of November. But seriously do you know what that means? It means that we are less than two months away now from this festive occasion. Which means that really we all only have about 3 weeks to get our Christmas gathering sorted until our lives become consumed with parties, present shopping and Santa madness. Now I don’t know about you but I am a shocker when it comes to be organised for this festive event. I must confess that I am one of ‘those’ people, that come Christmas eve I am running around like a crazy person trying to buy everyone’s, and I do mean everyone’s, Christmas presents and frantically looking through my kitchen cupboards to see what I can chuck together to put on the table. But not this year my friends, this year I have decided to get on top of it and get organised early. So when a group of my girls decide to rock up for an afternoon get together I decided to try out some of my Christmassy ideas on them. One of these ideas being this chick pea crostini and the other being these APPLE AND CRANBERRY MUFFINS. 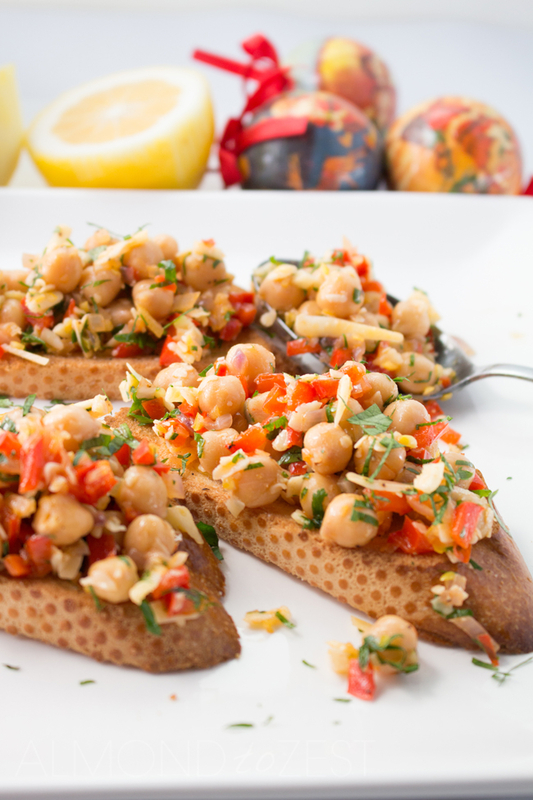 I love these chick pea crostinis and just as expected so did all my besties. 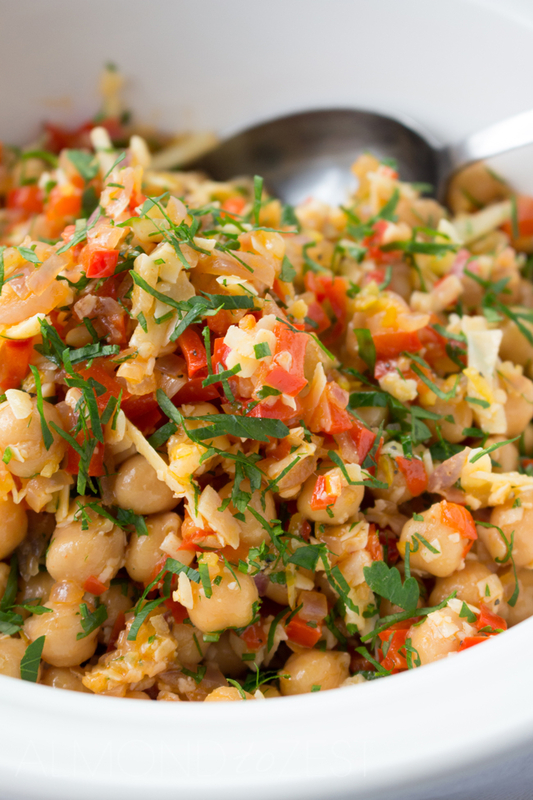 The chick peas are the stars of the show in this dish. I just love the flavour and texture they add to anything they are added to. The sautéed red bell peppers give a hint of sweetness to the dish plus their beautiful redness gives colour and a Christmassy feel to the crostini. The parmesan adds the salt factor and the lemon gives a tangy freshness to the crostini mixture. 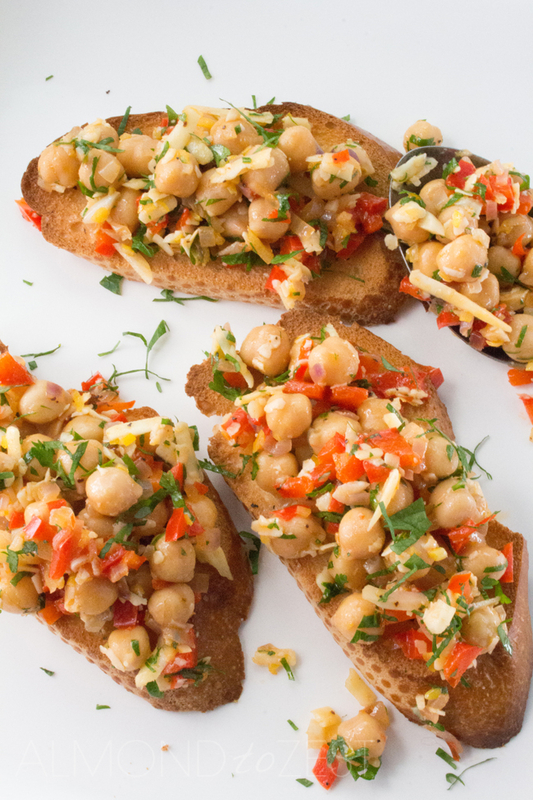 These crostinins are super easy to put together, which is exactly the kind of dish that you need when you are trying to juggle a million other dishes all at once at these festive events. The mixture can be made before hand so that all you have to do is toast the bread and spoon the mixture on top. Too easy right? But if you do decide to do this I suggest leaving out the lemon juice and mixing it in just before you serve them. And although I am labelling these crostinis as an appetiser option I must admit that I have made them up for lunch, dinner and an afternoon snack. Really they are just great to eat any old time. Make the crostini. Heat oven to 390 (200C). Brush each side of the pieces of bread with olive oil, season and place on a baking tray. Place in the oven for 3 minutes, turn them over and cook for another 3 minutes or until nicely toasted. Finely dice the onion, garlic and bell pepper. Heat the remaining olive oil in a saucepan and sauté for around 5 minutes until the onion and garlic has softened. Transfer the mix to a mixing bowl. 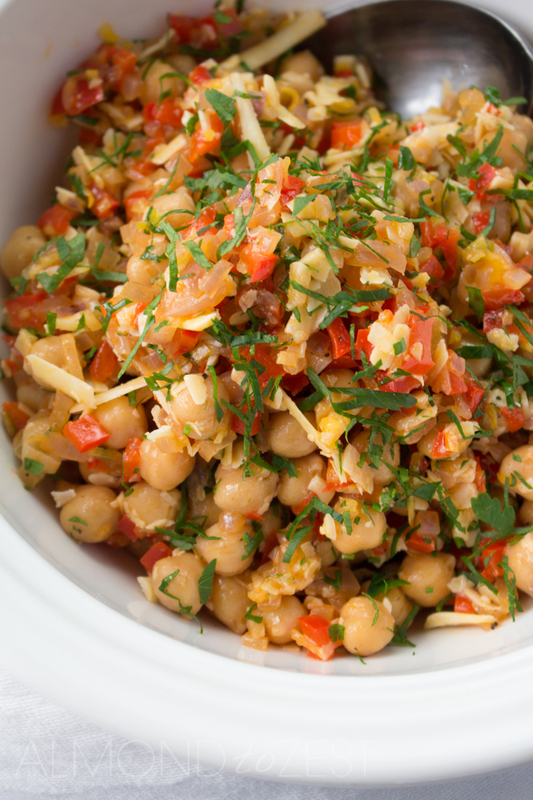 Add the chick peas, lemon juice, zest and parsley. Season and give a good mix. 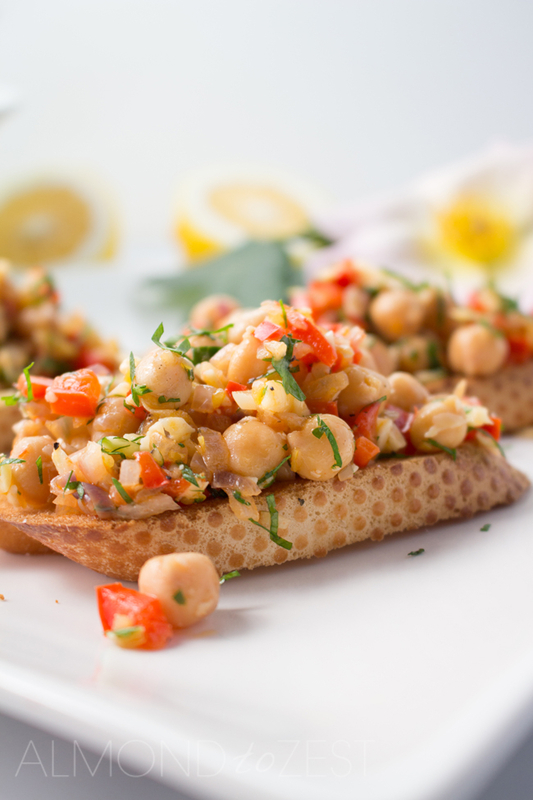 To serve spoon the chick pea mix onto the crostini.